This workbox is built out of 1/2" plywood laminated with Armortuf panels for Maryland Sound International. Armortuf is a ultra high impact composite panel made with woven fiberglass reinforcement and a specially formulated polyester resin. 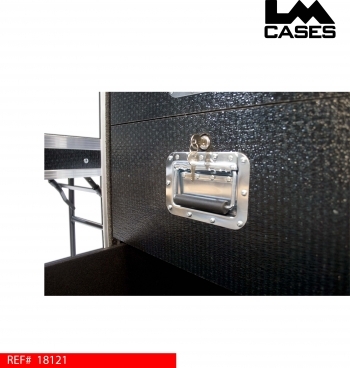 This laminate is most commonly found lining the walls of semi trailers! 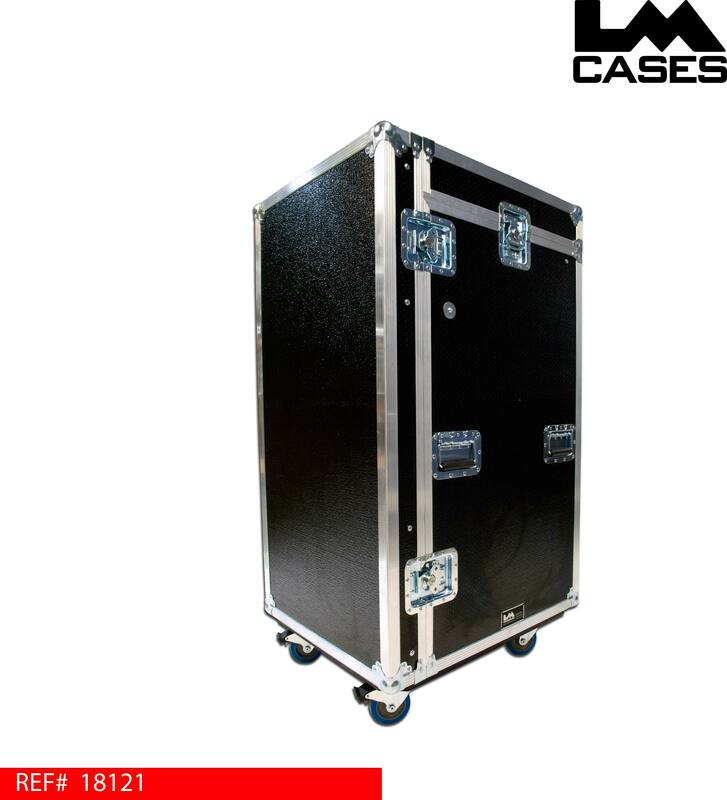 The combination of Armortuf laminate and 1/2" plywood creates a super strong case that is ready for the most demanding touring scenarios. 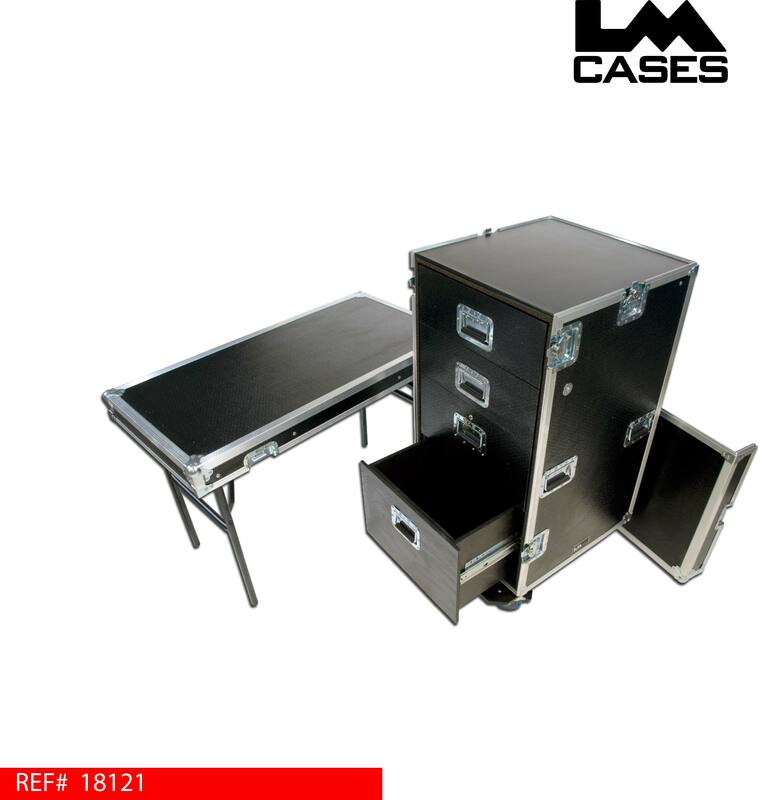 The case features 4 drawers mounted in an inner shock mounted shell, the drawers feature heavy duty Accuride glides and matching Armortuf front faces. The workbox also features a black formica work surface (formica allows a smooth surface for writing), 2 piece removable lids with table legs mounted in the front lid.